Truly regret that I had chosen this card. I have never received so-called vouchers for all the points I accumulated. Raised the issue numerous times via phone and in person, but all the efforts were in vain. Will never apply for any Citibank credit cards again. hi Koh Peng, can you please share with me the links to use the points to redeem takashimaya voucher ? I can't seems to find it. Thanks. Best card ever. Been using their Citibank Credit Cards still 30 years ago. They are the pioneers of cashback cards in Singapore - changing from their Dividend card to Cashback card. Getting cash back by charging to the card. Getting rebates or discounts for lazada, purchases and Petrol station top up too. Best card I have as i get the most rebates or miles out of it. On lazada membership giving lots of rebates for lazada (now 8% rebates), Grab and Chope and RedMart purchases and most miles for most online shopping. I only use this card for the 4x miles return for the above and avoid using it when it gives me less than that equivalent. Pros: - 10X Rewards points for on online purchases within certain categories - Rewards catalog is pretty alot. Am eyeing some of the rewards Cons - 1X Rewards points for every else Generally a good card to get 10x rewards points for Lazada purchases. Just a alternative card to use when my other credit cards doesnt have rebates for some purchases so i can at least get 1x Reward points. It is one of the great card to own it as the rewards system makes me spend even more. As i spend more for shopping, the rewards allows me to earned more at the same time. Receive up to 10X Rewards (10 points or 4 Miles) for every S$1 spent on Shoes, Bags, Clothes at Online, Retail or Department stores, locally and overseas. Travel privileges which include exclusive offers from different travel websites. Citibank Gourmet Pleasures, which includes great dining deals. Petrol deals, save with participating petrol companies. Citi Rebate, enjoy up to 10% rebate on participating locations. Points accumulated are only valid for 60 months. Transactions made towards, bill payment, educational institutions, government institutions, non-profit organisations and others will not accumulate points. For the full list, please visit CITI Rewards Card’s T&Cs. Only a maximum of 10,000 points per statement month can be earned. Points earned cannot be used to offset minimum payment due. 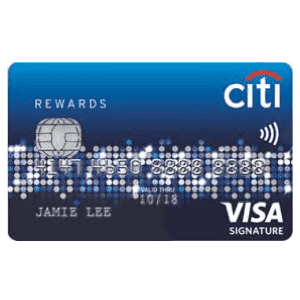 For more info, you can check out CITI Rewards Card’s website.